for the last several weeks i have been participating in the 2017 New Quilt Bloggers Blog Hop, hosted by Yvonne (Quilting Jet Girl), Beth (Cooking Up Quilts), and Leanne (She Can Quilt). 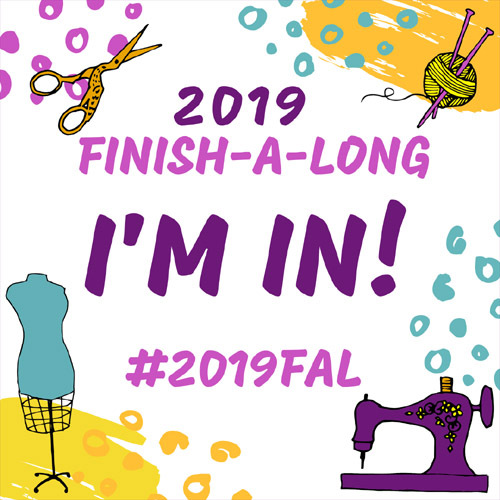 while i have been blogging for a little while, this blog hop has been great to hone my blogging skills and meet other quilt bloggers. i have been crafty most of my life, i even learned to sew when i was younger. but it didn't really stick. after college i was living in Iowa and on a whim i bought a cheap sewing machine and began a back and forth with sewing. fast forward a few years, i got married and pulled that sewing machine out again and this time actually made a quilt top (that sat for at least 3 years before i quilted it). sewing again was pushed to the side as i was finishing my master's program and job hunting. well after landing a job, moving, looking for a house. we found out we were expecting. 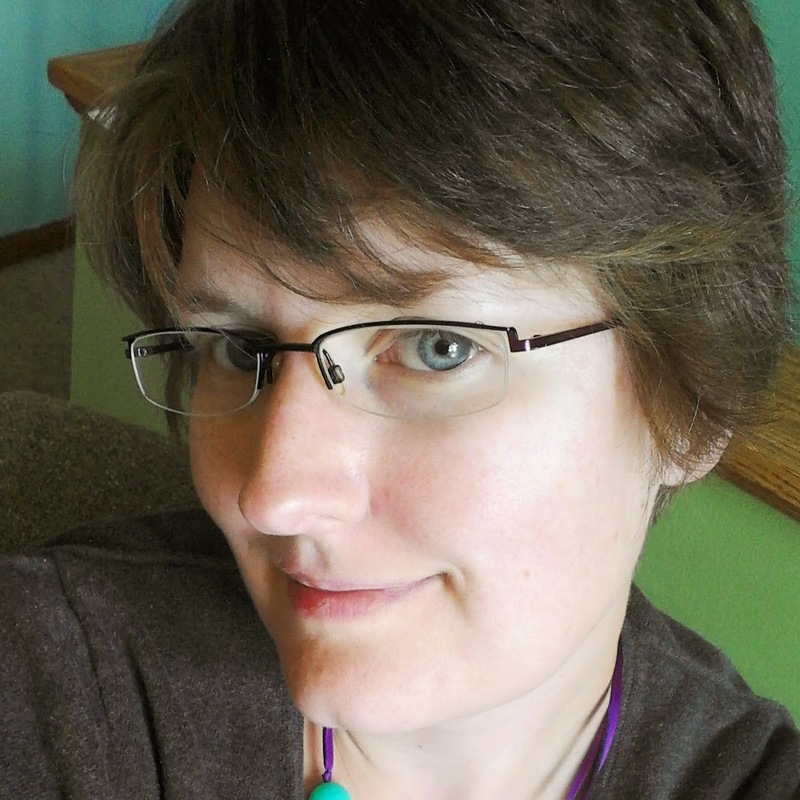 though it was not to be and i miscarried in march 2011. during the next year sewing became my lifeline and helped me with the grieving process. i started mostly with bags, but quickly moved to quilts. and after my first daughter was born in december 2012, the quilting bug had taken hold. not long after having my first i developed postpartum anxiety (PPA) a relative to postpartum depression. thanks to my hubby who searched for answers, we were able to discuss my anxiety with my doctor and get me started on medication to help combat the symptoms. there is no shame in getting help for anxiety or depression, between my medication and quilting i have been able to manage my anxiety pretty well. sewing and quilting really has become my therapy. i can tell when i have not sat down behind my machine or cut fabric, or just done anything creative as i can feel the anxiety trying to creep in. 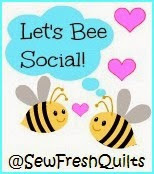 now i can't imagine life without quilting and through quilting i have met some amazing people both in my local area and online! in such a short amount of time i have made quite a few quilts. many have been gifted to family and friends and it has become one of the highlights of some of the showers to see what i have made this time. my Cotton+Steel Modern HST Sampler is my favorite quilt as of right now. i love how all of the colors play and work together. if you are interesting in learning more about this quilt, click here! i really love making mini quilts, either to decorate my family room or sewing room. i just love their small size and i can play with different patterns that i may not want to make into a full size quilt. i hope in the future to write more patterns, in addition to the free pattern i've created. i just hope to share my love of quilting with the quilting world at large. my blog name as evolved over the last two years. first i was Sew Simple Sew Jess, well that name was too long for most social media so i just started using Sew Jess for my handle. so when i started to get a little more serious about blogging i decided to just use Sew Jess and added the handmade to include my other sewing adventures. one of my biggest tip for a new blogger, try and set a loose schedule, even if it is only once a week. then you have something to work on and having a loose schedule will help you to have posts scheduled so you can proof before posting! Make sure to visit my other blog hop mates and the hosts for a chance to enter some amazing prizes! Lovely quilts you made and the free pattern looks awesome! Thanks so much for sharing! Morning Jess! Lovely to read more about you and your sewing and blogging journey. I just love the Modern HST sampler quilt!!! It's such a great quilt I can totally understand why it's your favourite. Darling Millennium Falcon! Lovely quilts too. Visiting from the New Quilt Bloggers hop. Jess, it's sew nice to meet you! I agree, that quilting and sewing are so therapeutic and enjoyed reading about your journey! And looking at your beautiful work! These hops are so much fun, getting to meet new quilters. Sewing is also therapeutic to me, helping me deal with being a empty nester. Being so involved with my children's activities....than it is all gone, this is how I discovered quilting. What a great look into you quilts. Hi Jess, my fellow bee mate, this is a beautiful post. You shared a lot and it good to know about your journey and seeing your quilts. I also like making small quilts--it's a nice break from the big quilts. I hope you're having fun with the Blog Hop as I am. It's great meeting you. Nice to "see" you again. Miss you in Yvonne's bee.... Thanks for sharing so much of yourself in your blog. Love the mini-quilts. Everything I make gets bigger and bigger. Lovely to see some of your quilts, Jess and to hear about how much quilting has helped you! Looking forward to seeing more of your work! Thank you for sharing your story, it's amazing how sewing and quilting is so therapeutic, isn't it? I really love the Cotton & Steel sampler quilt! The gray background is just perfect. Your letter banner quilts are really cool, too. Did you paper piece the letters? Quilting is definitely therapy! Love your modern style! Great to meet you! Hi, I have been following your blog even before the blog hop and I really enjoy your craftsmanship! you are very good and it shows, I hope you know that you are an inspiration and you are amazing. (just in case no one has told you that lately) Thanks for sharing! 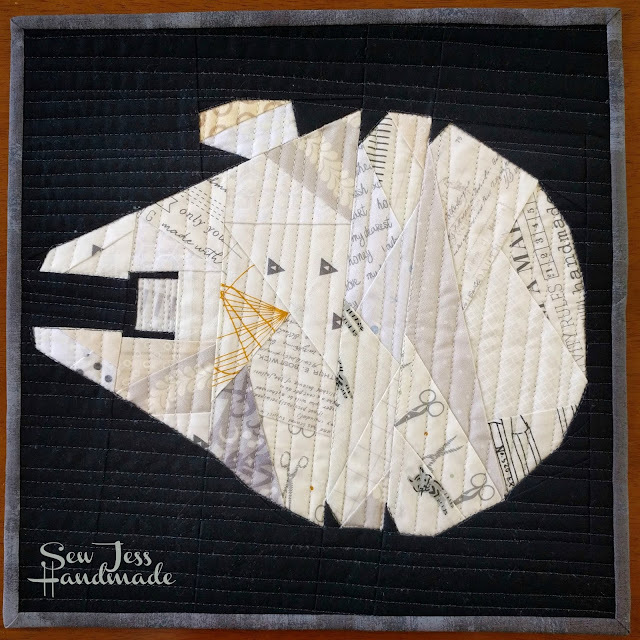 I love your quilts, especially the millennium falcon. 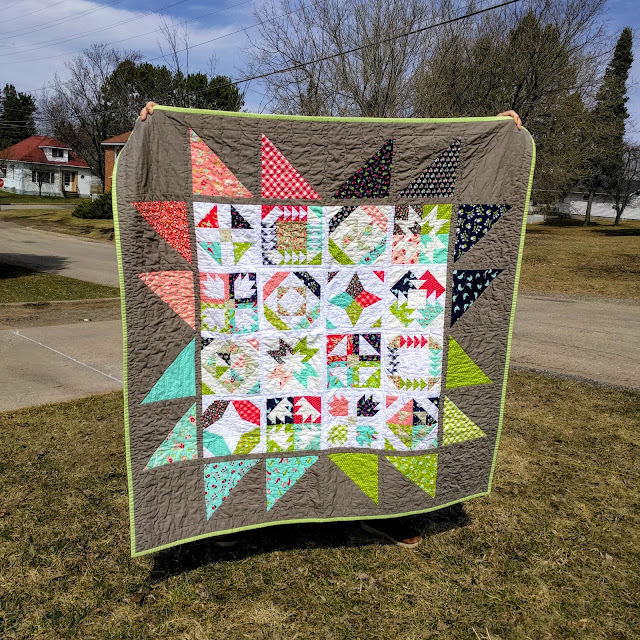 I often use quilting to make some quiet time in the busy, noisy activity of my life - home, work, kids, whatever - and I can totally relate to how quilting helps with your anxiety, and it is great that you are comfortable sharing that here. I'm glad to get to know you better in the blog hop. Lovely to meet you Jess. I love the colour mix in your HST quilt, beautiful. Thanks for sharing your story Jess. I think there are many of us who sew to relieve anxiety or stress or depression. I really like your small word quilts . They are quite colourful and well made. Thank you for being so open in discussing how anxiety and depression have affected you. As more people are honest about their situations, others will feel less stigma and will seek support and treatment and will be able to get the relief that is available. I know that when my neurologist P.A. kindly described my situation as feeling "like a fussbudget"--after I explained my increasing anxiety and how it was affecting life at home--I felt very comfortable accepting medication which reduced those "fussbudget-y" tendencies, making life so much easier all around. It's good you found something to enjoy amidst trying times. Your quilts are wonderful. I especially love the curved sampler Sew Kind of Wonderful. I really gotta make that quilt. thanks for inviting us to your blog during this blog hop. I'm so glad that you found the quilting world and realized how it can help with anxiety and depression. I suffer from depression and quilting has really helped me cope with it over the years. 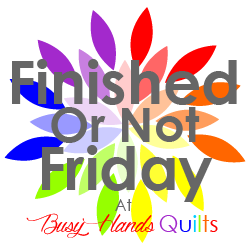 I just have to make sure I don't over commit or put too much pressure on myself when it comes to quilting as well. Your quilts are gorgeous!! Thanks so much for sharing with us. Hugs!! So nice to read more about you and your creative journey. Your quilts are lovely. Glad quilting was there for you when you needed it the most. I loved reading about you in your post and your quilts are beautiful. I especially love the snails another post. Thank you so much for participating in the hop this year and for sharing so many honest details about your quilting journey. Anxiety can be very frightening and I am so glad your husband helped find what was going on and you got the support and care to help you. Quilting is really amazing as a therapeutic and meditative process. Beautiful quilt and great to meet you. I'll definitely add you to other blogs I follow. Quilting can be great therapy. Hello Jess! I truly enjoyed reading your post and want you to know that you definitely are not alone. Even though, I am on the other end of the line facing depression issues. My husband, quilting and a couple of great friends and medication help to keep me balanced. I think your quilts are fabulous and hope that you continue to find joy in the whole process. Have a great day! 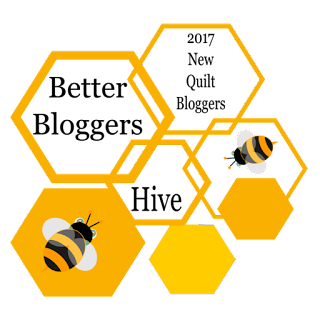 Great share and cool freebee. So nice to meet you! Quilting is my therapy as well and when I go too long without stitching, I get all itchy. Your HST sampler is dazzlingly beautiful - I love what you did with this, front and back. So Thanks for sharing your quilts and your story. Truly enjoyed your post...depression is nothing to mess with,nor is anxiety! For so many years sewing and quiltmaking have been my therapy. 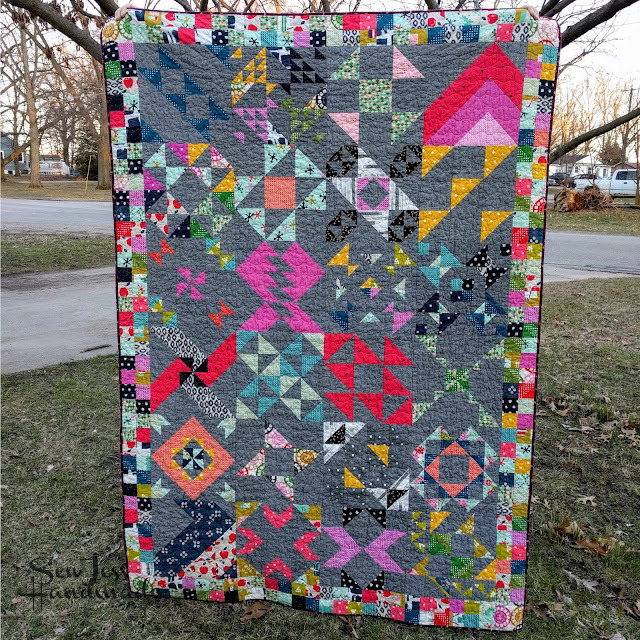 Love your sampler quilt! LOVE that first image but I am partial to gray backgrounds anyway. Hi Jess, it's really nice meeting you on this hop. 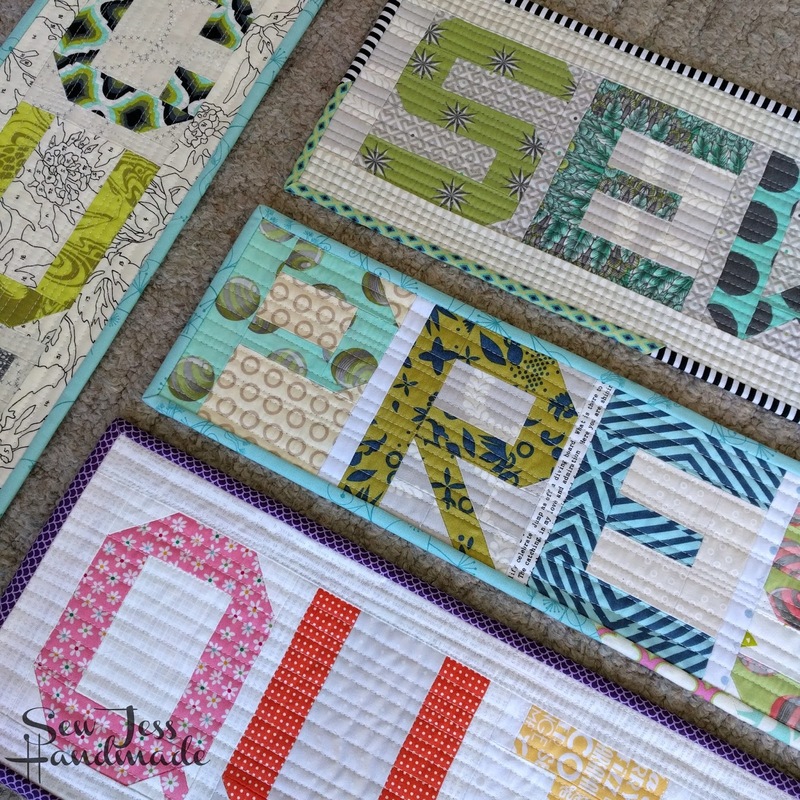 Liked seeing some of your quilts and love your blog banner! I love your Millennium Falcon! I made a Death Star. I had a bout of postpartum depression, and later was prescribed medication for anxiety/depression. There truly should be no shame in needing help. I found that it has gotten better over time. Hi Jess!! Such nice, bright quilts! And I agree--quilting is healing. Nice to meet you!!! Nice to meet you, Jess! Thanks for sharing your story. I started quilting in college and it was a pretty big hobby, but I always kind of did it in spurts and would have long non-sewing spurts. Much like your story, I had a miscarriage in fall 2012 and sewing was a big part of my therapy and healing, and I have not left that creative quilting spurt since. I enjoyed seeing your quilts! I'll be back to visit! I am glad that you have found quilting. I am much, much older than you. I had post partum depression with both of my children. My doctor made me stay in the hospital an extra day with my second child. I was crying and crying and telling him that I wanted to go home and he could not even understand me. He put me on medication to make me rest since I had an active two year old at home. I suffer horribly from PTSD for other reasons and being creative helps. I don't get much done now as my son and his three year old daughter live with me know. I have an invisible disability and have very limited energy. I try to care for her while he works and cook as much as possible. It's a win/win for all of us now. Seeing all the beautiful work is encouraging for me. I'd like to make a couple of dresses for her to start P-K in the fall. Blessing to you and thanks for being brave to share your story.